If a plant has leaves, it can develop leaf diseases. Most leaf diseases leave identifiable marks. But just because a plant has blemishes does not mean it is diseased. Plants may also develop problems such as sunscald, iron chlorosis or even attacks by insects such as leaf miners or leaf roller caterpillars, which may also mark leaves. The best way to identify leaf diseases is to compare the symptoms against known leaf diseases. Pick a leaf and look it over for signs of disease. 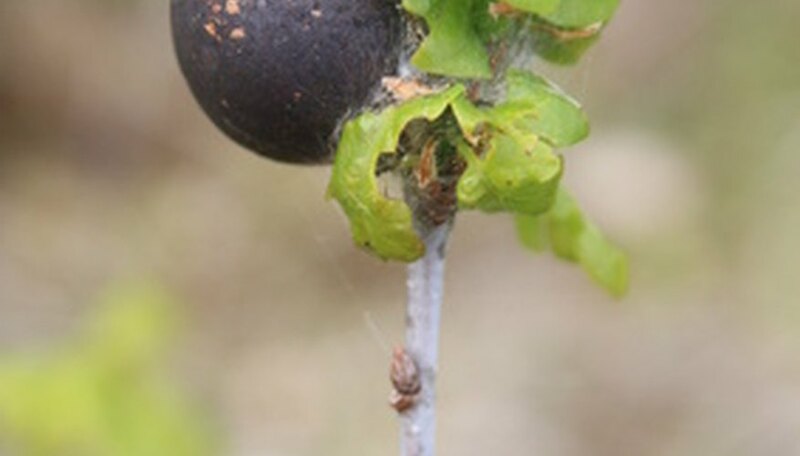 Common diseases that affect leaves may show up as discolored spots such as leaf spot, raised bumps, lesions or curling, misshapen growth such as the kind caused by oak blister, or a residue such as the kind caused by powdery mildew. Note the weather conditions. Many pathogens affect leaves in spring when the weather is cool and moist. This type of weather creates conditions that are ideal for diseases such as powdery mildew or sooty mold to grow. Contact your local county extension service. An agent with the county extension service can draw on research by the USDA and their local agricultural college. The agent will know which foliar diseases are most prevalent for the leaves of plants in your area. The agent may have spoken with other residents in your county who have also had plants that have been attacked by the same foliar diseases. Your local county extension service agent can help narrow down a list of suspected plant pathogens. Place your leaf into a plastic sandwich bag and close the bag tightly. Take your leaf to your local county extension service agent for a positive identification. Other good resources include your local master gardener’s program, as well as books such as the "Reader’s Digest Illustrated Guide to Gardening." Such books often have photos of leaf diseases for comparison.